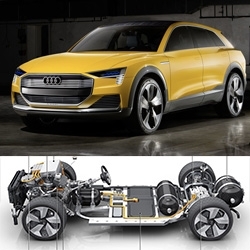 Audi h-tron Quattro Concept - hydrogen fuel cell powered SUV concept that can take "only about four minutes to fill the tank, giving the car a range of up to 600 kilometers (372.8 mi)" Also laser and OLED lighting. 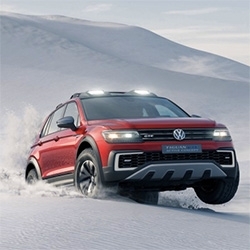 Volkswagen Tiguan GTE Active Concept - interesting Modular Tansverse Matrix (MQB) technology and off-roading with 4MOTION Active Control drive. It's a pug-in hybrid with 148hp gas engine with 2 electric motors. 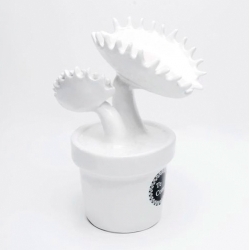 Ferdeana Te Como - a ceramic venus fly trap! Branding for the Office of Sigmund Fraud, a fake psychiatrist persona who held people still for long enough for our artist to draw them. VIDEOIcehotel #26 - Luxury Suite 322 "The Great Escape" by Marjolein Vonk & Maurizio Perron - see the making of, and their incredible ICE SWINGS! 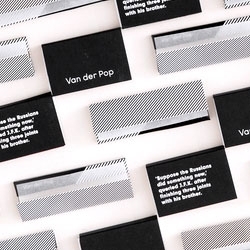 Pop Papers from Van der Pop - rolling papers packaged in a lovely black and white. 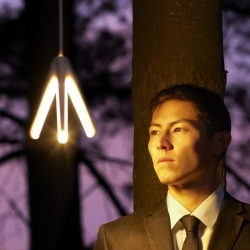 two.parts pendant fixtures made of 3D printed ceramic, illuminated with LEDs, and appear to enclose a mysteriously absent bulb. 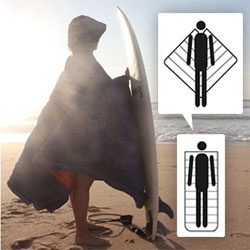 Designed by Christo Logan. 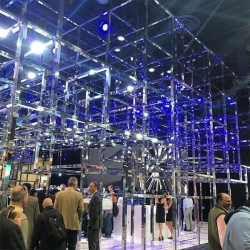 FEATUREDCES 2016 Audi Booth - quite the 3D grid of chrome/mirrored square posts paired with color changing lighting this year. 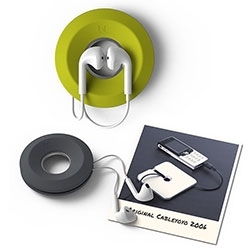 BlueLounge Cableyoyo - an earbud cord spool with a magnetic center. Also works well for small cables. Happy 10th Anniversary, BlueLounge! 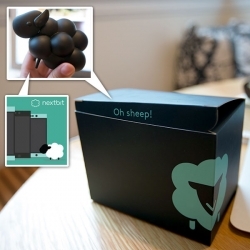 This is their #TBT since 10 years ago at CES they launched with the first Cableyoyo. 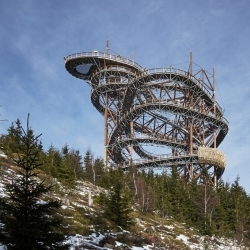 A 101-metre slide winds down through this 55-metre high structure designed by Brno-based studio Fránek Architects on a mountain in the Czech Republic. 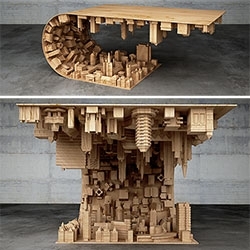 Wave City Coffee Table by Stelios Mousarris. Inspired by Inception, and made of wood, steel and 3D printed technology. 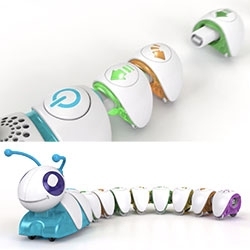 Fisher Price Think and Learn Code-A-Pillar - teach kids to code by attaching the motorized head/speaker and each body piece that represents a movement. Looks like USB connectors. 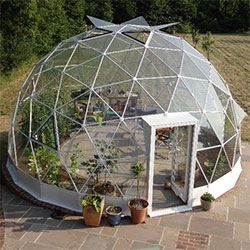 Solardome Geodesic Glass Domes for everything from greenhouses to rooftop getaways... pop up venues and more. 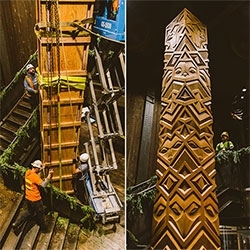 FEATUREDAleph Geddis' hand carved wood totem for Filson flagship store in Seattle is a towering 18.5 feet tall! Absolutely stunning depictions of a wolf, owl, raccoon, falcon, and bobcat. See more pictures and a peek at the making of. Every ACME product ever, in a cave. 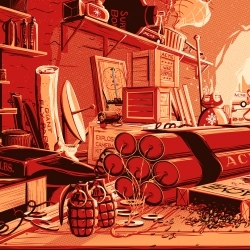 126 rockets, gadgets, and explosives from our favorite desert coyote. Print illustration by Rob Loukotka (Fringe Focus). 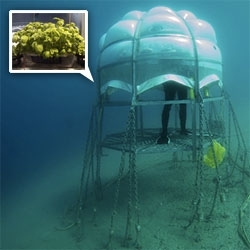 Spinneybeck Tratto, meaning traction or stretch in Italian, is a unique screen made from stretched CNC cut Belting Leather held in traction within an aluminum frame. 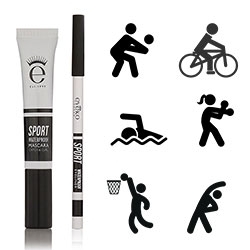 Designed by Emanuela Frattini Magnusson. 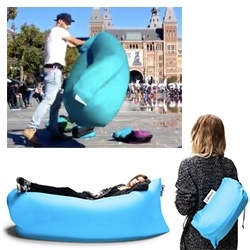 Capata Pyrenees' Lazysack "The Ultimate Sleeping Bag" is an interesting transformation of not just the usual sleeping bag to blanket... but also to PONCHO. 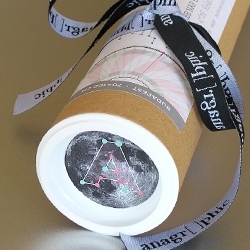 Anaptár is a unique, informative poster calendar, which is a work of beauty and source of fascinating new discoveries. 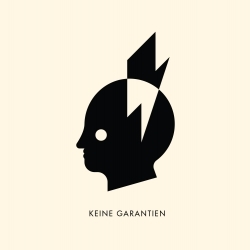 For 2016 Anaptár has versions adapted for Berlin, Budapest, Copenhagen, London, New York and Vienna. 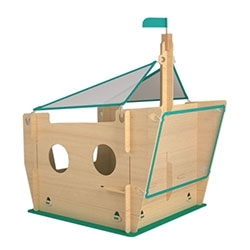 YONOPLAY by Shlomi Eiger and Roi Vaspi Yanay is a series of wooden structures for kids. 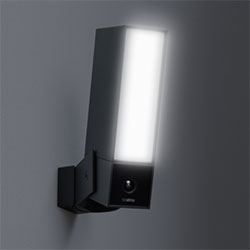 Built from simple modules and packed in to a very flat package, easily hosted in every ordinary apartment. 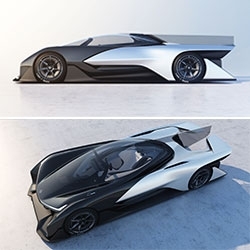 Faraday Future's FFZERO1 Concept Racecar is the talk of CES so far... a peek at their view of future range of clean, intuitive electric vehicles. 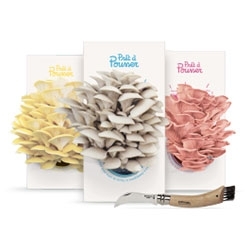 Pret a Pousser has done a great job packaging your usual "Grow Your Own Oyster Mushrooms" Kits! 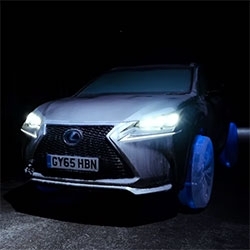 VIDEOLexus NX on Ice Wheels - Lexus had the Hamilton Ice Sculptors of London create NX wheels and tires out of ice then mounted on a frozen NX and driven down the road! 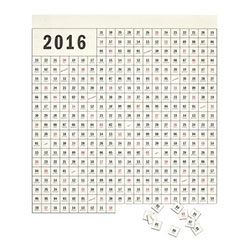 Hay 2016 Perforated Calendar - one sheet, tear off each day's square as the year progresses! Oh Joy! 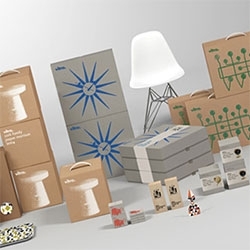 for Target Home Decor/Nursery Collection is coming in Feb. 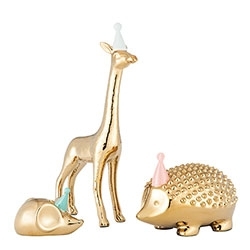 The brass animals with party hats are adorable! 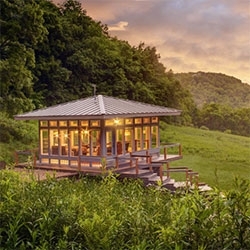 Candlewood Cabins Meadowhouse and Glasshouse in Richland Center, WI look like quite the experience! Norbert and Susan Calnin purchased the 80 acre property in 1981 and have added cabins one by one over the years. FEATUREDA visit to the Bass Pro Pyramid, Memphis and a surprising look at their Adventure Boys & Girlz Toy Sets - for your little hunter, sporting dog vet, 4x4 kid, kayak fisherman and more... also adorable Ride-On ATVs for toddlers. 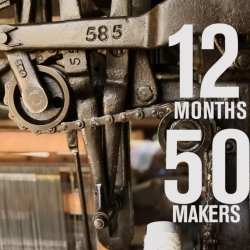 VIDEOScotland-based factory finders, Make Works, have released a round up film of the makers, manufacturers, workshops they have visited over the past year. From sawmills to tanneries, metal workers to plastic yarn mills. 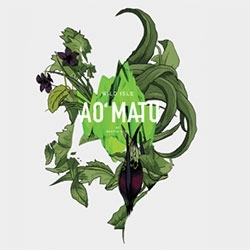 AO MATU poster on 210g paper with wild and flora illustrations designed by Nastya KFKS. See more of the series in the KFKS Store. Codes project. Digital images of the Argentine artist Guillermo Jones. 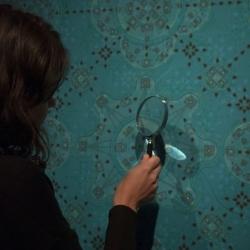 The works on paper are accompanied by magnifying glasses to investigate its materiality and conceptual texts contain. Coarse's Cancan! From sculpture to vinyl, these will be realeased Jan 5th 2016. 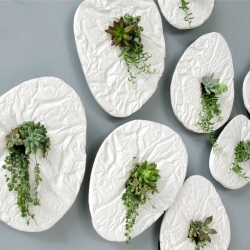 SEED by Taeg Nishimoto is an object to be hung on the wall incorporating small plants as the focus. Each profile is taken from different river stones’ shape. FEATUREDArches National Park Off-Roading 4x4 Trails are stunning. We tackled 20+ miles of it in the NOTFZJ80 and barely saw another car or human. Absolutely beautiful on a sunny, snow covered, winter day. 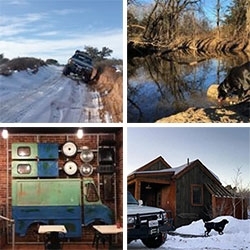 FEATUREDNOTCOT 2015 Epic Holiday Road Trip. A lot can happen in 3 weeks + over 5000 miles from LA to Nashville + back. From hilarious highway signs + great BBQ to a new puppy, mountain cabin, huge glass pyramid, national park offroading + more. 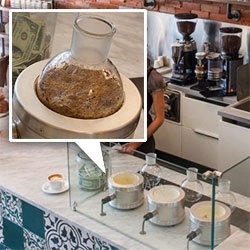 Boxcar Coffee Roasters in Boulder, CO has a mesmerizing way of making coffee: The BoilerMakr: their special high altitude process! Sprudge has a great break down of how it works. Joe's Kansas City BBQ - a mind blowingly good BBQ experience that was worth the wait on our road trip. 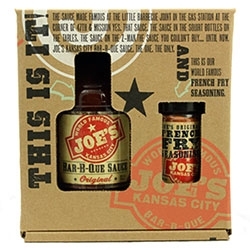 Fun packaging (and the perfect gift/souvenir) for their BBQ Sauce + Fry Seasoning gift pack. 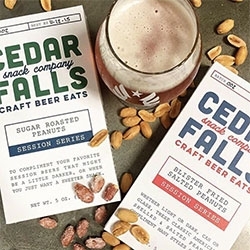 Cedar Falls Snack Company Craft Beer Eats - beautiful packaging and i'm smitten with their Sugar Roasted Peanuts that are a candied treat with your beer! 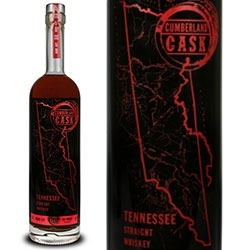 Cumberland Cask Tennessee Straight Whiskey Ruby Cut is delicious! Just discovered it on our road trip - it is 6 year old TN whiskey aged in CA port wine barrels for 6 months. Limited run of 375 six pack cases. 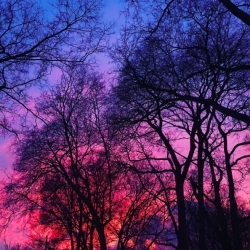 FEATUREDHappy almost 2016! Sorry for going a bit quiet here - Team NOTCOT (Jean, Shawn, + Bucky in the NOTFZJ) have been roadtripping across the states from LA to Nashville and are almost back! 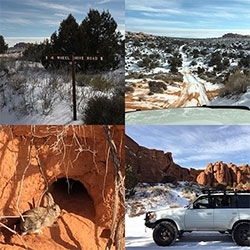 See some of the adventures on Instagram. 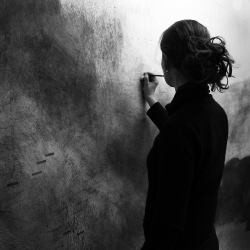 London-based artist Emma McNally creates abstract graphite on paper artworks featuring a stunning drawing style which fuels the complex mark-making of her large works in graphite on paper. 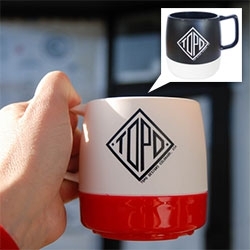 Topo Designs Dinex Mugs! 8oz double-wall insulated mugs that are made of ozone-safe urethane foam and perfect for hot or cold foods and beverages. 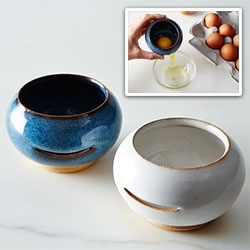 Stackable, lightweight, and dishwasher safe! 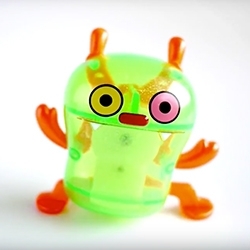 VIDEOFun little video by "Z Wind Ups! 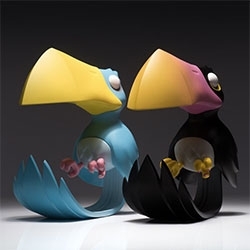 ", showcasing some of their innovative toys that perform complex actions based on classic wind up mechanics!